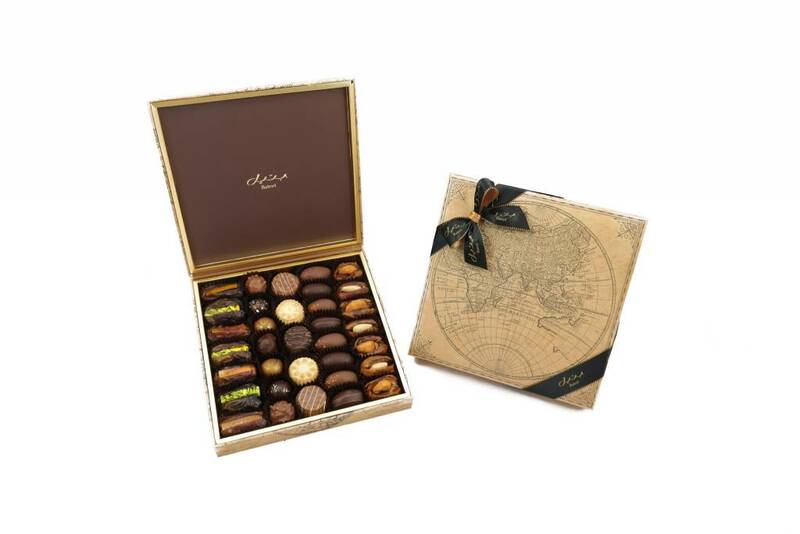 A mix of 34 Bateel sweets - dates, origin chocolates, date chocolates and gourmet biscuits. This mix comes in an elegant World Map box in medium size. Dark Chocolate Orange Peel (Date Chocolate) - Barhi date filled with candied orange peel and coated with 62% dark brazil cocoa.